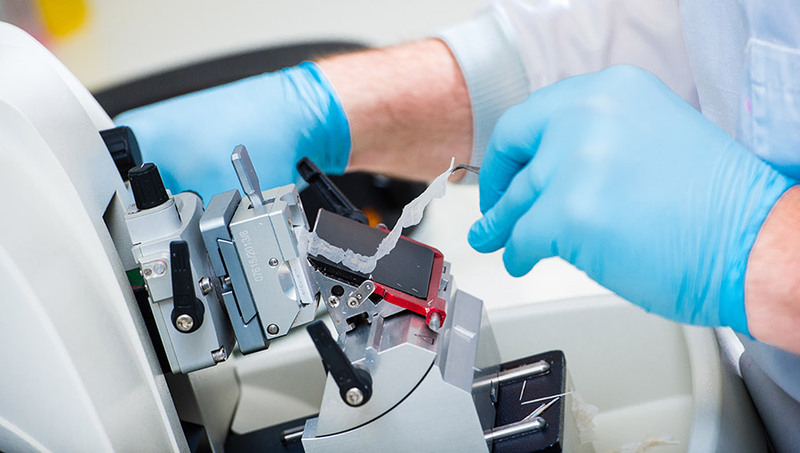 We offer research pathology services to the scientific community, including those working in medical and veterinary research, higher education institutions, government laboratories and commercial organisations. We offer advice on study design, tissue processing and a full histological interpretation service, as well as a number of histological and immunohistochemical techniques. Slide scanning and digital image analysis is also available. We focus on understanding the way in which the disease process develops in the host and in the environment, with a particular focus on new and emerging and zoonotic diseases. Our close working relationships with the Animal and Plant Health Agency (APHA) and the Pirbright Institute provide excellent opportunities for interdisciplinary research.